Vehicle just arrived so a full set of photo's to follow after preparation is completed. Supplied with 2 full remote keys. 12 months MOT with NO ADVISORIES. Full Audi main agent service history and we will carry out a service as part of our preparation process to bring the service record fully upto date. 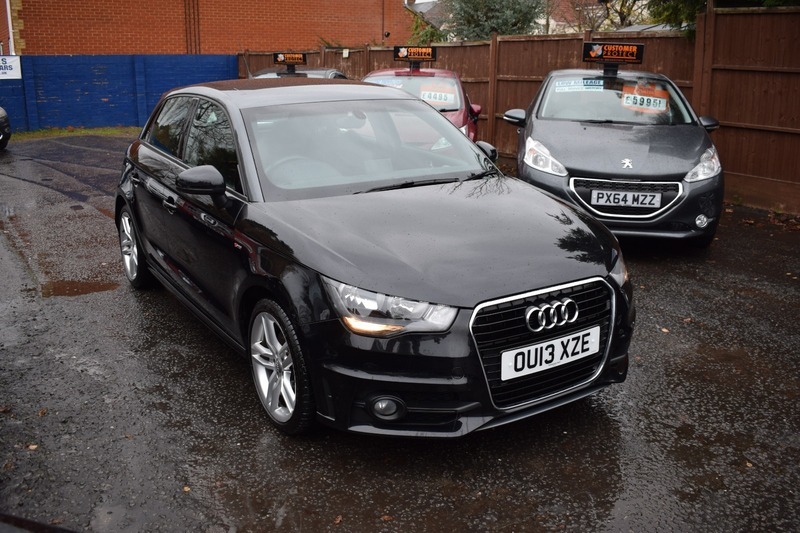 Nice clean Audi A1 benefiting from Audi main agent service history, leather seats, air conditioning, privacy glass, two tone body styling with a metallic grey roof and metallic black bodywork, alloy wheels, cd player, bluetooth and much more. Private plate has been put on retention and does not come with the car, the original registration number of OU13XZE is going back on the car. Brookside Vehicle Remarketing Ltd are a credit broker and not a lender. We are Authorised and Regulated by the Financial Conduct Authority. FCA No: 725831 Finance is Subject to status. Other offers may be available but cannot be used in conjunction with this offer. We work with a number of carefully selected credit providers who may be able to offer you finance for your purchase.